This is a spicy variation of the French toast by the Deen Brothers. I like the crusty base of the toast where the sugar and melted butter had cameralised. 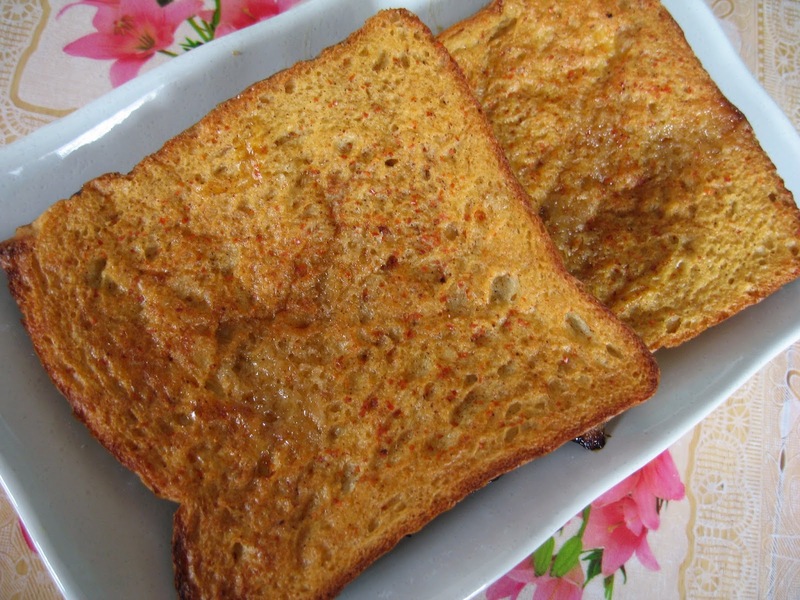 The spicy flavour is a welcomed change from the usual French toast. Add more cayenne pepper if you prefer a fiery hot toast. To borrow a phrase from the Deen brothers, this is a recipe worth waking up for! 2. In a bowl, whisk together the sugar and melted butter. Spread the mixture in a large baking pan. Set a side. 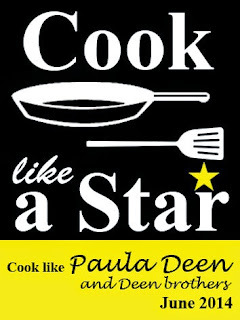 ( Adjust and divide the ingredients if the oven and baking pan are small ). 3. In another large bowl, whisk together milk, eggs, vanilla, lemon juice, cinnamon, salt and cayenne pepper. 4. Dip each slice of bread in the egg mixture and soak for 30 seconds. Transfer to the prepared baking pan. 5. Bake for about 20 to 25 minutes or until golden. Hi, Doris! 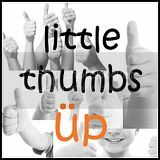 Thanks for linking to LTU! Have a nice day! 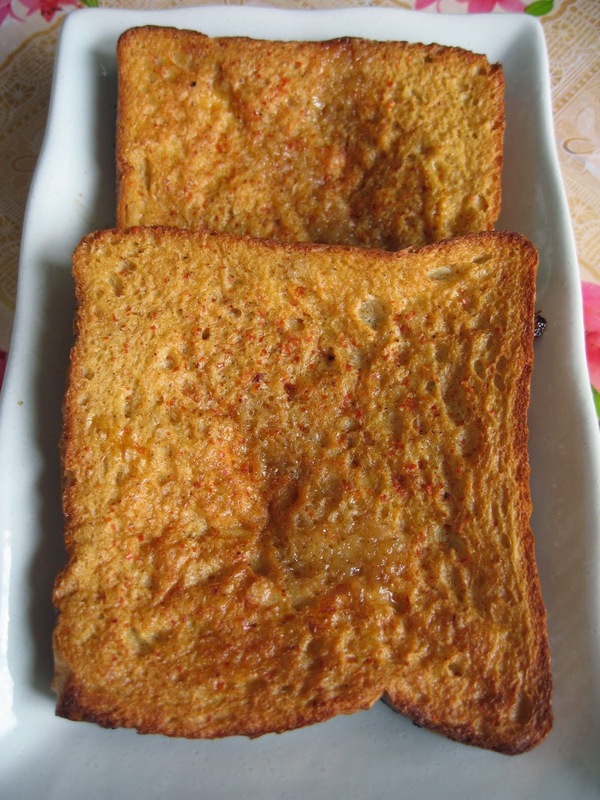 This is an interesting French toast with a spicy kick! A scrambled egg topping will make them extra extra perfect! Hi Doris, I read this with great interest - I am not really into sweet things so this will be a good option for me. I can imagine this with some spicy pork floss.. yum!! I want to wake up to this, if only someone would pamper me and make it for me! That will be a real treat! Looks yummy! 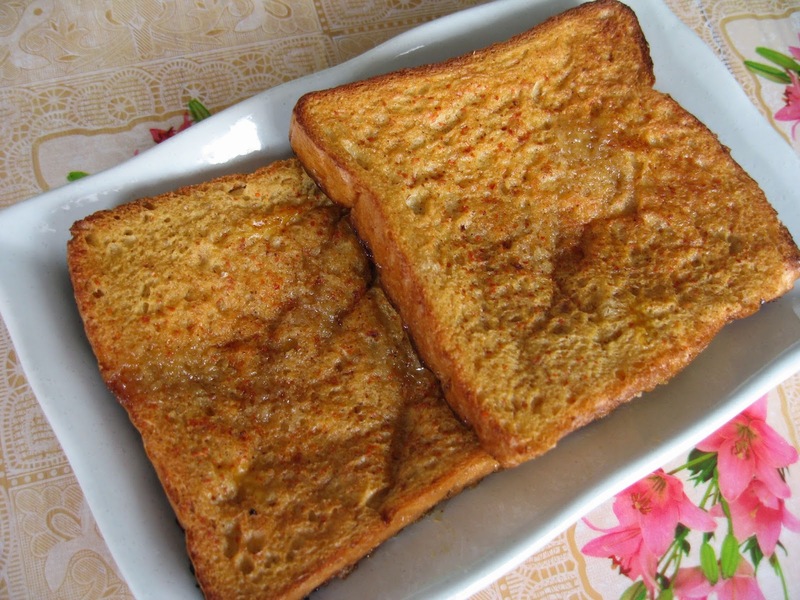 Looking at your French toast I am craving for some now. Love the brown crust and they look so inviting! Hehe my hubby just made French toast for breakfast the other moorning too. Love it..... what a sinful breakfast. We rarely have French Toast but the other day, hubby asked for it and even made it. It was good and I was saying, we should have it more often. I love cinnamon so I can accomplish more French Toast and more cinnamon with this recipe. Looks like many of us are brought up on bread.